This morning, Mike DeWine was sworn in as Ohio’s 70th governor, taking the oath of office on a stack of Bibles. Much like his predecessor John Kasich, Governor Mike DeWine has promised to uphold abortion bans and restrictions on reproductive health care. As Ohio’s former attorney general, Mike DeWine imposed his personal ideology and beliefs without impunity. He has spent his career trying to make Ohio one of the most restrictive and hostile states in the country for reproductive health care, including access to safe and legal abortion. We will not stand for this — and commit ourselves to upholding religious and reproductive freedom. DeWine’s dangerous crusade against reproductive health care has endangered tens of thousands of Ohioans and will cost taxpayers potentially millions of dollars defending unconstitutional abortion bans. 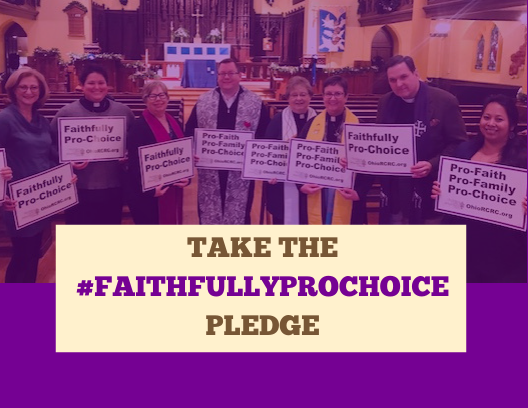 In this New Year, take our Faithfully Pro-Choice pledge to receive resources on how you can put your faith into action for reproductive freedom. We will do all we can to urge the DeWine Administration to honor moral agency, bodily autonomy, and the separation of church and state. This is our solemn pledge. Won’t you join us?